The Intelligent Community Forum (ICF) considers digital equality when evaluating what makes an Intelligent Community. The organization says Intelligent Communities promote digital equality by creating policies and programs that provide offline citizens with access to computers and broadband, by providing skills training and by promoting a compelling vision of the benefits that the broadband economy can bring to their lives. In Sarnia-Lambton, an aging community where, for the first time in 2016 seniors outnumbered children, partners have come together to deliver the Cyber Seniors-Sarnia program. 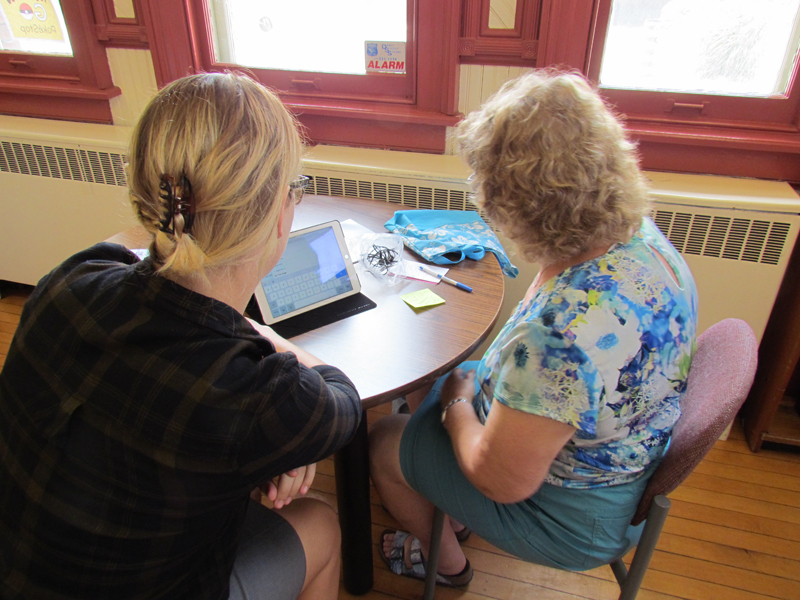 Cyber Seniors-Sarnia is a digital skills tutoring program that addresses two local opportunities: 1) creating meaningful connections between seniors and youth; and 2) including seniors in the increasingly digital and online world. High school students are matched with one or two seniors to learn basic computer and online skills. The curriculum follows a locally created workbook. Seniors, who pay what they can, learn at their own pace and can take the workbook home to practice between classes. There are eight lessons and each class is 90 minutes. The idea came from a documentary film where students taught long-term care home residents how to use the internet. They met one-on-one in apartments and the time frame was quite long. In the local version, participants meet as a group twice a week at central locations close to all four local high schools to make the volunteer opportunity accessible to students. The program is also offered to some seniors in their own homes. Since September 2016, 60 seniors have participated in the program, learning about WiFi, online safety, Google searches, source credibility, email, and various social media platforms. Seniors learn digital and online skills. Students earn volunteer hours. In addition to the curriculum, seniors gain the ability to communicate with their family and friends through Facebook and can pursue personal interests through YouTube and Google. They also form bonds with a teenagers and learn more about that generation. Meantime, over 25 students have volunteered for the program, gaining experience teaching, mentoring and working with seniors while learning valuable, traditional communication skills, and more about an older generation. Cyber Seniors-Sarnia is rewarding for the students because they see firsthand rapid progress by their elder partners — they see that their time and help matter. Equally important, cross-generational understanding, mutual respect and personal connections are formed. While busy with the tasks at hand, participants also share stories of their lives, their families, and their experiences of living in very different times. During their time together, real relationships develop. By the end of the classes, each walks away with a greater understanding of the other generation and often gain a new friend. Check out our blog at this time next week as we explore sustainable practices in our community.